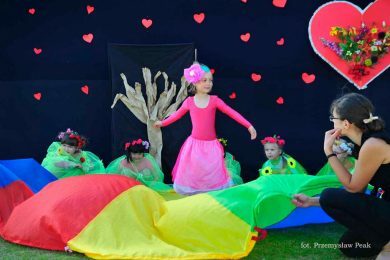 The theatre and musical classes in our preschools help to develop imagination, fantasy and creative thinking of the child, its sight and hearing memory as well beautiful, correct speech. Each child, especially at preschool age, has the natural need to express itself using numerous forms. It has a paramount need of fiction and fantasy and deeply experiences such moral values as good and evil. For children, theatre is an exceptional reality, in which anything might happen.